No, I didn’t shave my beard. The Wife veto that option. 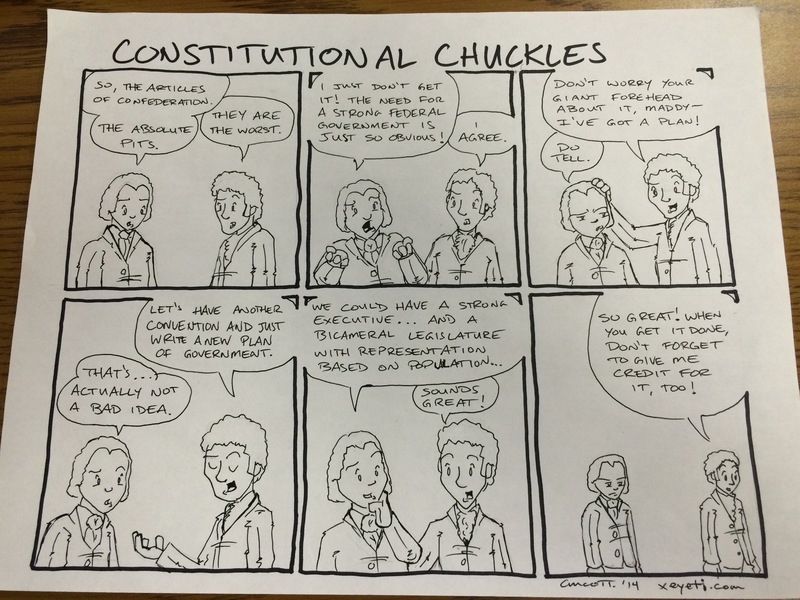 I like to imagine Madison and Hamilton totally having this conversation. Ninja Steve caught no fewer than six leaves Sunday afternoon. He kind of loves fall. I had this exact conversation with the office manager last week. I think admin has a strange understanding of how these things work. Sorry today’s comic is late. I fell asleep last night around the time I usually start drawing. 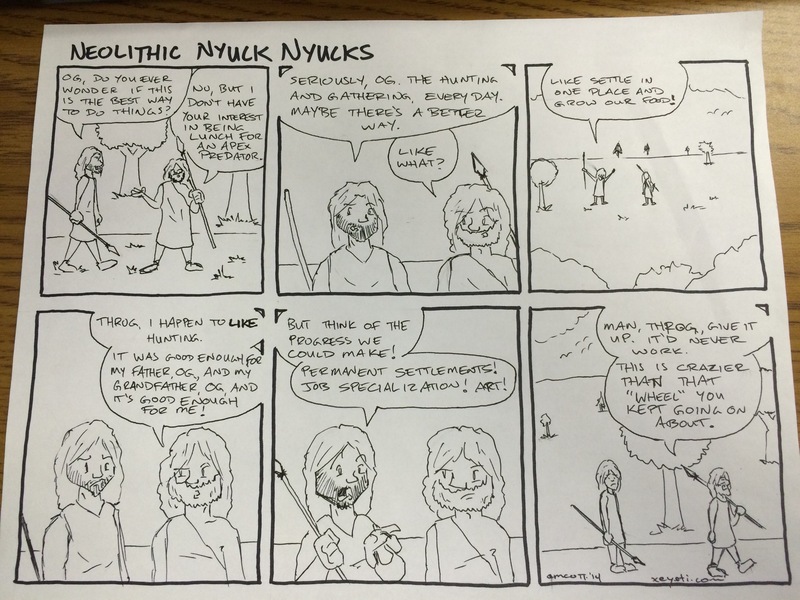 Have a comic I drew for my World History I students instead. Haven’t had the flu in decades. Get one flu shot, suddenly I’m experiencing flu-like symptoms? Not cool, universe. Not cool at all. Got my flu shot Tuesday. While my arm hasn’t felt all that heavy, the site of the shot does hurt like the dickens. Every time. They do it in every single cop drama every time.